When it comes to soothing a sweet tooth, there’s one festival that takes the cake. This weekend marked the sixth annual King Cake Festival, a day dedicated to its namesake food. From 10 a.m. to 4 p.m. in Champions Square, festival attendees ate like kings, sampling the signature Mardi Gras specialty from 24 vendors. 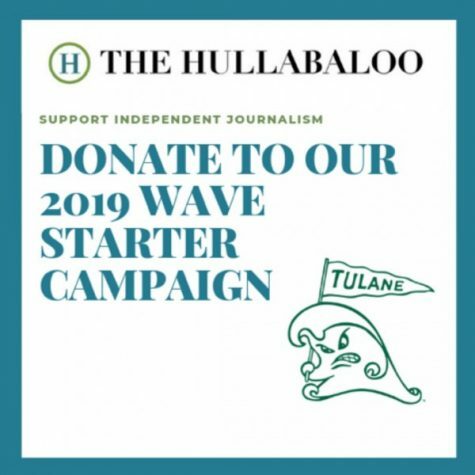 Though entry to the festival is free, proceeds from the tickets, which are traded for king cake samples, benefit Oschner Hospital for Children. Flavors varied from cinnamon-y classic to wildly creative, but the festival also featured several other vendors to serve as a palate-cleanser. 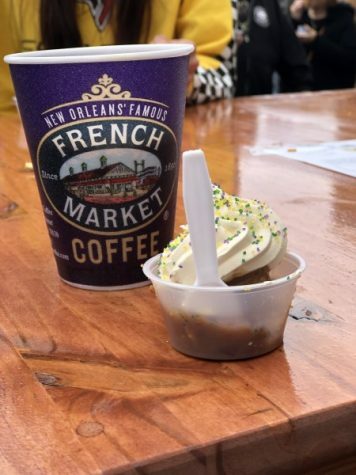 Food trucks, like local favorites Frencheeze and Diva Dawg, lined the perimeter of Champion’s Square, but the real action was at Food Drunk, where a steady line of culinary daredevils waited to try the king cake burger – which is exactly the heart attack that it sounds like. 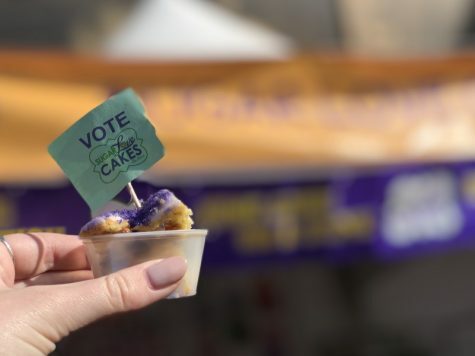 While King Cake Festival hosts an election to determine winners for best presentation, most unique and the like, The Hullabaloo has come up with its own sophisticated system to decide which cakes are worth seeking out and which are worth skipping. If you missed the festival or just want to put this to the test yourself, we’ve also included some other cakes we love from around the city. This award goes to Sugar Love Cakes, which provided a true king cake awakening. Those of you that have been around the block might be aware that there are many king cakes in the world that are terrible. Often, they seem like a poor man’s cinnamon roll, with all the right ingredients to be delicious, yet lacking in some way that makes them difficult to truly enjoy. These types of cakes are usually found at dorm meetings that a well-meaning RA attempted to entice residents to attend, as the leftovers from a student org meeting or in grocery stores anywhere outside of Louisiana. After enough of these stale, dry, disappointing experiences, one may be tempted to throw in the proverbial king cake towel. Don’t! Try Sugar Loves Cake, instead. Moist and perfectly iced, without relying on fillings or flavors to make it palatable. Just as God or Drew Brees or whoever invented Mardi Gras intended it. Pain Frais is the winner this round. Last year, the bakery was celebrated for dreaming up a Key Lime Croissant King Cake, which sounds just weird enough to be good. Pain Frais upped the ante this year with a Dulcey Tiramisu King Cake – but, in doing so, stepped out of the realm of what can reasonably be considered a king cake. Regardless of its form, however, the resulting caramel mousse was delicious. Cannata’s King Cakes brings something to the table that can’t simply be baked in, and that’s charisma. Its banner, in a vaguely Grateful Dead-esque font, reads “Goo Dat”. This play on the Saints’ “Who Dat” rallying cry incites a sort of morbid curiosity about what a goo-filled king cake may entail. As it turns out, it’s a moist but otherwise fairly standard cake in two flavor options: “gooey butter snickerdoodle,” and “gooey butter berrydoodle.” The ‘60s decor, penchant for puns and friendly owners make it possible to look past the fact that “berrydoodle” isn’t a word. Perhaps it’s counterintuitive to claim Langenstein’s has the gooiest king cake in the city when Cannata’s has made “goo” a cardinal part of its brand, but we’re not here to get into semantics. 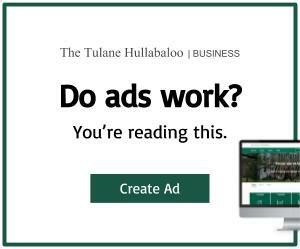 We’re here to eat king cake, and if you’ve read on this long, you must be, too. Langenstein’s offered a pecan cream cheese cake with a praline glaze, and it was fantastic, though the moist cake and glaze may put it more firmly in bread pudding territory. The pecan praline elements, also a Louisiana signature, worked well with the cake, but may be too rich for some. Magazine Street staple Sucré offers an exceptionally beautiful take on the traditional king cake, subbing a classically colored glaze in for the usual sprinkles. It’s sort of pretentious that Sucré refers to Mardi Gras as “Carnival” on its website – we get it! You’re French! But come on, look at that cake.